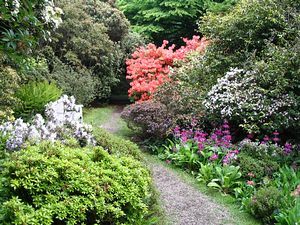 The gardens at Howick are deliberately aimed at garden lovers and we intend to keep them free from commercial exploitation. 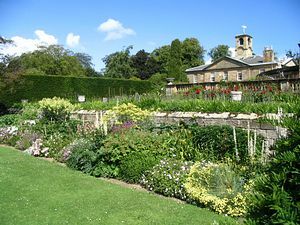 The overall planting throughout the garden has been described as being in the style of William Robinson and the emphasis through the season is on a pleasant informality. 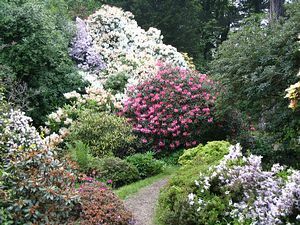 Come and wander through extensive grounds and enjoy a riot of spring bulbs, a woodland garden with lovely azaleas, camellias, magnolias and rhododendrons in spring, later in the season eucryphias, hydrangeas and viburnums provide summer beauty, and in autumn cercidiphyllum and maples show brilliant colour. The Arboretum opened in April 2006 including 60 acres of woodland. Howick was the home of the Grey family from 1319. 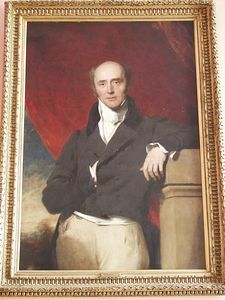 The best known member of the family was the 2nd Earl Grey, who was Prime Minister responsible for passing the Great Reform Bill of 1832 and whose monument stands at the top of Grey Street in Newcastle. The Estate has now passed through descendants to the present Lord Howick of Glendale. The main house has not been inhabited since 1967 and is not open to the public, but there are plans to convert it into a botanical exhibition which will take time. There has been a long tradition in the family as gardeners and tree planters. Most of the old hardwoods were planted by the Prime Minister who also planted the Long Walk, a dene which starts at the east end of the woodland garden and winds down to the sea for one and a half miles following Howick Burn - it makes a very nice walk for the more energetic. The present gardens were largely designed by the 5th Earl and Countess Grey. Lady Grey was mainly interested in spring bulbs and the herbaceous borders and Lord Grey created the woodland garden where, in recent years in early April, a pair of Magnolia campbellii have been a magnificent sight in full flower. A Bog Garden surrounding a new pond has been planted with herbaceous plants which have been grown from seed collected in the wild. A dedicated team of five look after the gardens as they slowly expand. Howick is developing educational and family facitilies and in the arboretum we have the new 'Family Explorer Challenge' - a nature trail which meanders through the arboretum and poses a number of questions about wildlife and nature. (If you are lucky you may see a red squirrel!). 2 miles south of Craster off the B1339 Nr Alnwick.